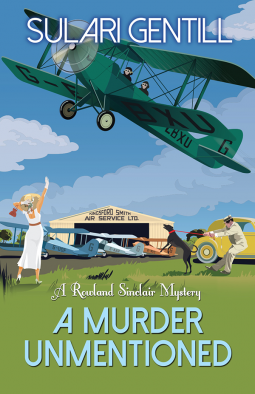 For fans of sleuths like Phrynne Fisher and those who enjoy historical mysteries: A Murder Unmentioned by Sulari Gentill – Joyce's mystery and fiction book reviews with some non-fiction too! The Rowland Sinclair mysteries take place in the 30s and Rowly reminds me of that great thirties sleuth, Lord Peter Wimsey. He is an artist who is surrounded by his communist leading friends including the lovely Edna, a sculptress. This novel picks up where the prior one ended with the group escaping from Germany at a time when the Nazis were rising and brutal. They come to England where they try to alert the government to upcoming perils and to solve the mystery of an upper class man who is found dead. Subsidiary figures abound including H.G. Wells and Evelyn Waugh. I truly enjoyed this novel and recommend it to fans of historical mysteries. I look forward to reading more. Thanks for this one, Poisoned Pen Press and NetGalley.